At a time of a rapidly changing world with more and more communication incentives personal contact has become even more important. Physically meet each other in an inspiring environment. Connection between people. Connection between people and products or services. The exhibition booth as an important part of the communication mix. That's where Dubbel AA stands for! 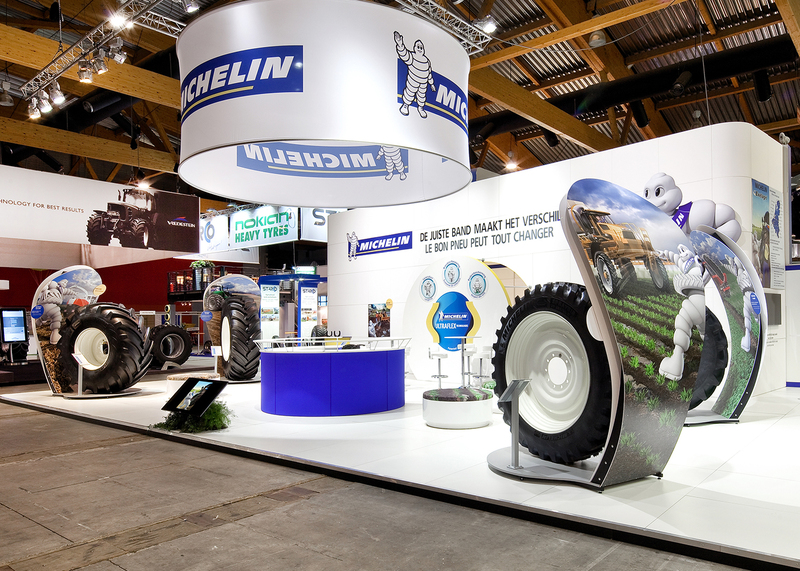 Stand construction Europe is our core-business. We’re experienced with building for nearly all exhibitor and visitor booths all over Europe. Timber construction offers the possibility to give the exhibition booth its own signature. Tailored to its own exhibition concept. With an own woodwork department Dubbel AA translate the concept into an efficiently to produce and to build stand. Contact us for a proposal! Searching for a system stand that looks professional while investment remains modest? With a modular construction this fits. A combination of eye-catching and efficient. The aluminum system booths of Dubbel AA are also durable in use. Take a look at our portfolio! Flexible presentation of a company or brand? Dubbel AA offers a wide range of sustainable systems. Roll up folding walls until a sales unit or promotional booth. Ideal for presentations "on the spot", fairs, sports events etcetera.